This Balloon clown, once clicked, gave you three different clown balloons. This page will hold all the party photos for SHU after 2013 began. I will also hold some website graphics here sometimes. 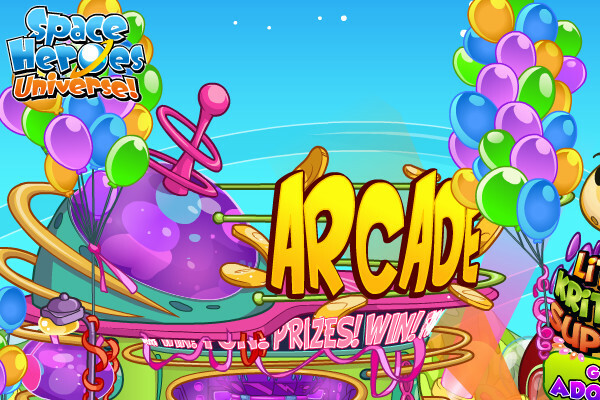 Held in February 2013, it featured updates such as 'Evil Kritterz' and Drums for all heroes! 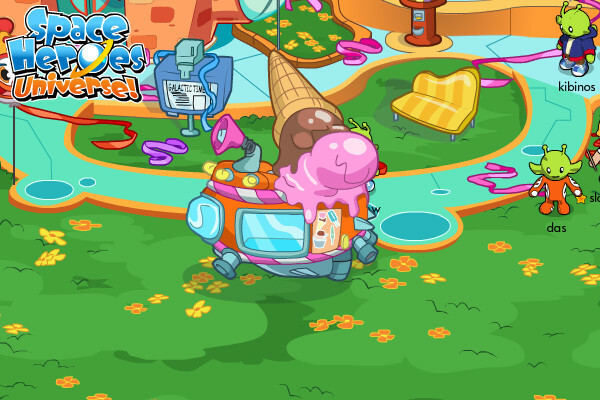 A new Ice-cream machine was added in the Plaza, and there was heaps of fun activities added to the Coast! 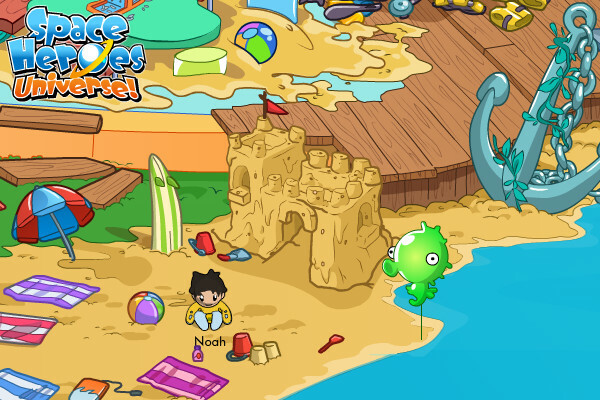 New Costumes and decorations have been added too! Check it out below! 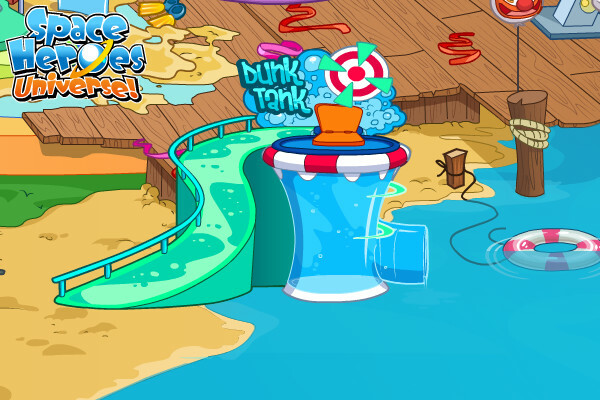 The Never-Before-Seen, Dunk Tank! 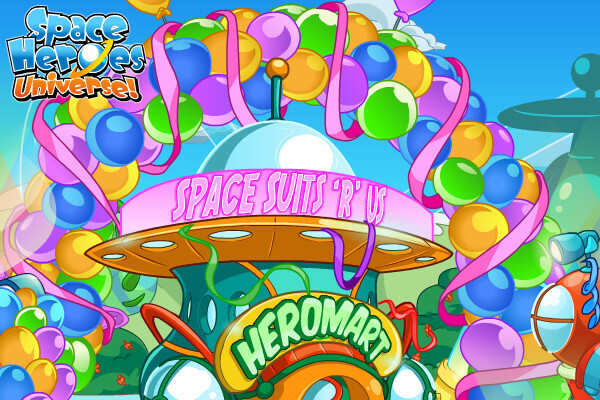 Heroes sat in the seat wearing their spacesuit/swimsuit and got one of the staff members to shoot the target. You would then be 'Dunked' into the water and into the sea. The cool Clown Slide. The idea was devised from the Jungle Planet Temple slide of Holy Water. Once again, the Decorations were Space-Tastic! HeroMart released reporter outfits, and some cool usher costumes for the Band Competition! 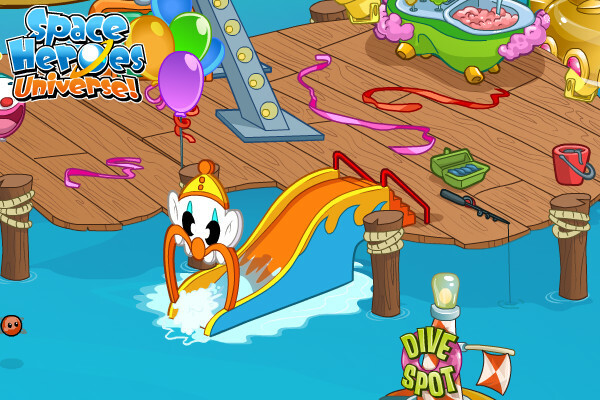 Some ideas used in these decorations had previously been used in the Halloween Party 2012!~such as candies! 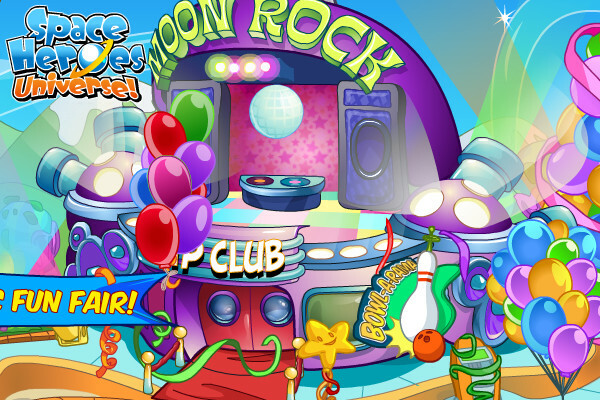 MoonRock Restaurant/Cafe/Club was installed with a new game called Bowl-A-Rama! 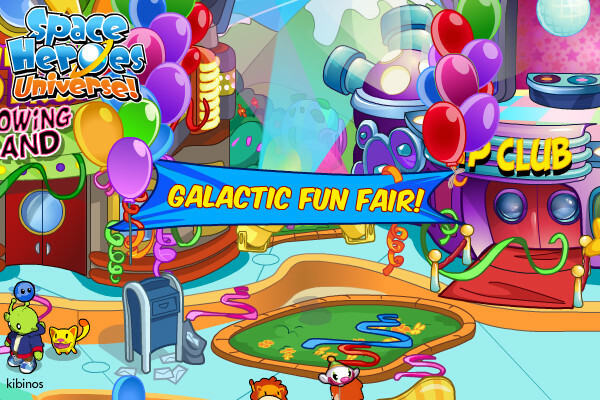 The Staff of SHU certainly did a lot of hard work to successfully run the Galactic Fun Fair! 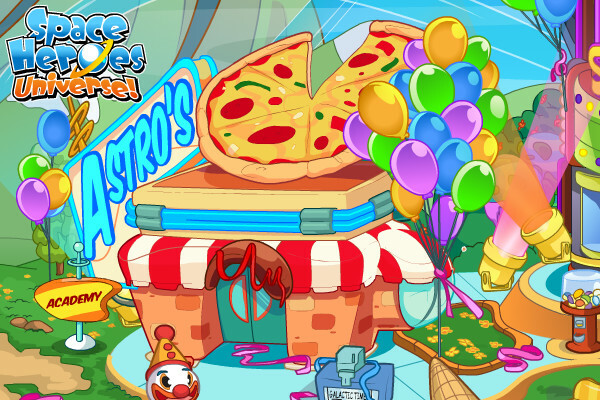 Astro's Pizza during the celebration. 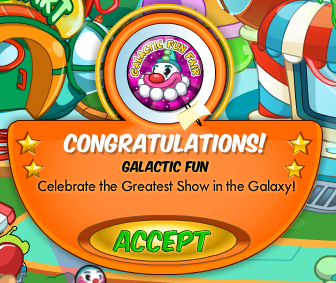 This party was started right after the Galactic Fun Fair! 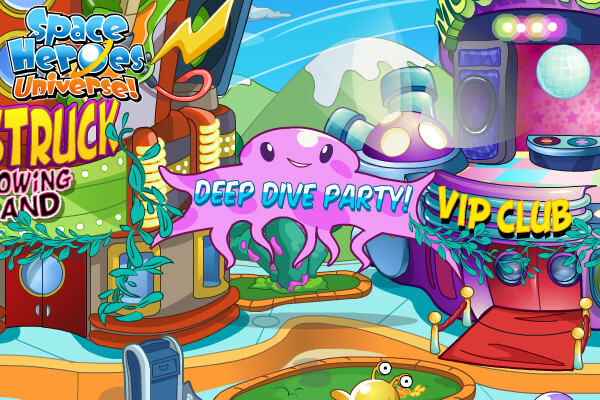 It featured updates such as a new room, belts for everyone, and a few other things, such as a new suit for Premium Members! 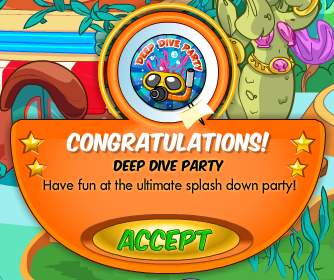 The Party Pin every hero received. The Sign of the Party. The seaweed in the plaza. The Mermaid in the Plaza. 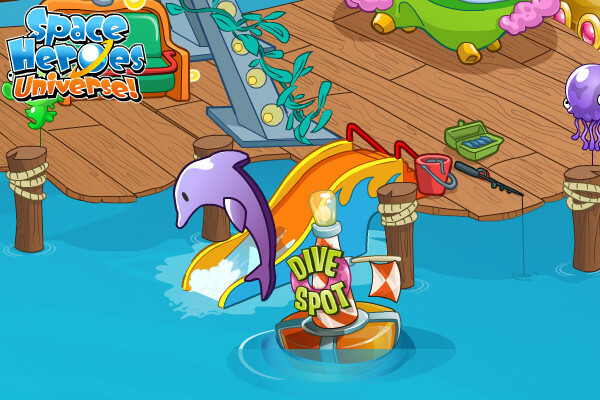 The improved slide with a dolphin.